Your resume technical skills list should shake the hiring manager. Never copy-paste. That’s bogus, and employers know it. Pack your resume with skills the job wants. Then prove them like a Geometric theorem. A great list of technical skills for resumes. Dozens of technical skills examples for every career. Why resume achievements are better than hard skills lists. How to list technical skills on resumes to get the interview. Technical skills are practical abilities and specialized knowledge needed to perform tasks in technical roles in IT, mechanics, engineering, science, finance, sales, etc. Technical skills include the abilities to use specialized software or operate specific machinery, equipment, and tools. They are hard skills that don’t always transfer to all jobs. For general technological skills, see the list in this section. Looking for hard skills for a specific career? We’ll show you more later on. MS Office. Word, Excel, Powerpoint, Outlook, Access, OneNote. Email. Filters, folders, mail merge, rules. Google Drive. Docs, Sheets, Forms, Slides. Writing. WordPress, SEO, Yoast, journalism, technical writing, ghostwriting. Spreadsheets. Excel, Google Sheets, OpenOffice, comparative analyses, pivot tables, macros, link to database, vertical lookups. Social Media. Facebook, Twitter, LinkedIn, Instagram, posts, giveaways, customer interaction. Phone skills. Voicemail, forwarding, hold, recording. Productivity. Trello, Slack, Asana, Todoist, Zapier, Basecamp. Quickbooks. Invoicing, expense tracking, accounts payable, reports, payroll, employee time tracking, cash flow management. Graphical. Photoshop, Illustrator, InDesign, Acrobat, Free Hand, Corel Draw. Enterprise Systems. Payment Processing, Automated Billing Systems, Customer Relationship Management (CRMs like Oracle Netsuite or Salesforce), Business Continuity Planning, Enterprise Resource Planning (ERPs like SAP, Oracle). Math. Basic math, arithmetic, statistics, algebra, trigonometry, geometry, calculus. Research. Source checking, intellectual property rights, networking, outreach, advanced Google search. Computer Skills. MS Office, Google Drive, spreadsheets, email, PowerPoint, databases, social media, web, enterprise systems. Troubleshooting. Assessment, system knowledge, analytical skills, testing, calm mindset, problem-solving, logic, collaboration, communication. Planning. Analysis, brainstorming, decision-making, forecasting, logistics, problem-solving, cost-assessment, requirements-gathering. Project Management Skills. Task management, prioritization, delegation, task separation, scheduling, risk management, Scrum. Video Creation. Shooting, framing, writing, editing, compressing, uploading, creating engagement. Presenting. Public speaking, PowerPoint, Keynote. How do you show tech skills on a resume? Job ad wants: (1) Excel skills, (2) social media skills, and (3) SEO skills. Created (1) MS Excel pivot tables to identify 500+ new high-traffic, low-competition keywords that pushed us to $250,000+ more annual revenue. Used strong (2) social media skills to direct 1,000+ targeted tweets and Facebook posts that generated 25,000+ shares and 350,000+ comments. In 18 months, guided the team’s (3) SEO drive to boost traffic from 1M per month to 4.5M per month. A simple technical skills section on a resume won’t cut it. Now let me show you job-getting hard skills examples for all the top careers. Pro Tip: Don’t pick tech skills at random for your resume. Learn what the employer wants. See job-specific technical ability lists below. Web. HTML5, CSS, Django, Node.js. Laravel, React. Blockchain technologies, Bitcoin, Ripple, Ethereum, Bitcoin Cash, Monero, Litecoin. Cloud and Distributed Computing. Kubernetes, Docker, Azure, AWS. Machine Learning. TensorFlow, scikit-learn, Google Cloud ML Engine, AML. Operating Systems. Microsoft Windows, macOS, Linux. Network and Information Security. OSCP, CISSP, Cisco CCNA, Certified Ethical Hacker (CEH), CompTIA Security+. Electronic and Electrical Engineering. AutoCAD, MATLAB, Verilog, Simulink, Pspice, Multisim, ETAP. Virtualization. VMware vSphere, Microsoft Hyper-V, QEMU, Oracle VM VirtualBox, XEN. Big Data. Statistical analysis, data mining and modeling, database management. eCommerce Platforms. Magento, PrestaShop, Joomla, OpenCart, WooCommerce, Shopify. What hard skills work for your job? This list gives the top 10 technical abilities for the most popular professions. It lists technical skills examples. Job ad wants: Scrum skills. Led 3 Scrum teams to raise revenue from $1.2M to $2.7M in 16 months. Through guided Scrum meetings, increased Kanban buy-in to 95% of stakeholders, slashing cycle time 35%. Need more hard skills for project managers? See this project manager resume. Job ad wants: web development skills. Used web-development skills to prototype 35+ new product features yearly. Raised user experience scores 45% using advanced web dev skills. Need more programmer tech skills? See our programmer resume. Job ad wants: statistical modeling skills. Built statistical models for large data sets with Teradata. Used statistical modeling to slash development costs 18%. Need more technical skills for data analysts? See our data analyst resume. Job ad wants: Photoshop skills. Used Photoshop to create 350+ client designs annually. Contributed to ecommerce site that received 2017 Shopify Ecommerce Design Award, partly thanks to strong Photoshop skills. Need more graphic design hard skills? See our graphic designer resume. Job ad wants: inventory management skills. Inventory management: Saved $5,000 a year on office supplies by negotiating new deals with current suppliers. Used strong inventory management skills to cut supply waste by 20%. Need more office technical skills? See our administrative assistant resume. Job ad wants: state standards skills. Raised standardized test scores in Writing 20% and English 30% by injecting creative coursework into our curriculum. Integrated technology into classroom with iPads, Smart Boards, and computers contributing to 15% rise in adherence to state standards. Need more teaching technological skills? See our teacher resume. Job ad wants: phlebotomy skills. Used phlebotomy skills to collect, label, and process 1,000+ phlebotomy samples. Trained 3 nurses in phlebotomy best practices. Want more nursing technical skills? See our nursing resume. Job ad wants closing sales skills and customer needs analysis. Surpassed sales closing goals by 20% in each quarter. Built real-time customer needs analysis boosting retention 25%. 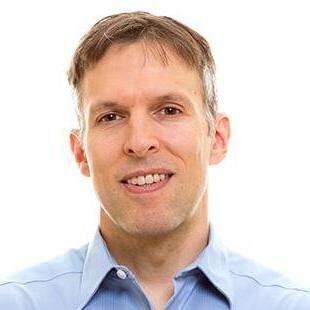 Need more sales hard skills? See our sales associate resume. Job ad wants business process re-engineering and as-is analysis skills. Used business process re-engineering to develop new customer service process. Slashed refund requests 28% and labor costs $1.5 million. Conducted as-is analysis for business optimization projects. Raised revenue 12%. Need more business analyst tech skills? See our business analyst resume. Job ad wants production design and Lean manufacturing skills. Prototyped 10 new products per year. New CAD laser scanner was shortlisted for an A’Design award in 2016. Applied Lean manufacturing principles to redesign Kanban system. Decreased inventory costs 32%. Want more technical skills for engineering jobs? 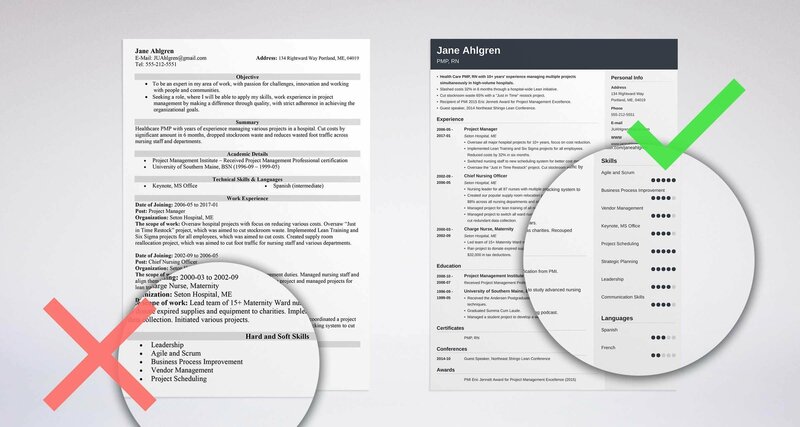 See our Engineering Resume Guide. Pro Tip: Not sure which of those technological skills to use? Scour the job ad. The right technology skills are listed in it. Want the best technical skills for computer science, IT, marketing, or accounting? Next I’ll show how to prove hard skills on a resume. Pro Tip: Can’t find the right technical ability—even in the job ad? Call and ask, or reach out to a company employee on LinkedIn. You emailed 200+ resumes and—crickets. You have the right tech skills. But you’re showing them wrong. Know what technical skills to put on a resume. Include %, $, and other numbers for scale. Most job resumes parrot the same list of technical skills. Hiring managers hate it. The perfect technology skills are right in there. This trick is tech skills gold. Managed company-wide transition to Windows 10. Upgraded 150+ employees, with 100% HIPAA compliance, 20% under budget. Hardened system security by enacting IT risk management plan. Adopted password vaults and least privilege protocols. Slashed security risk 48%. It shows how those hard skills helped the company. It shows how much, with numbers like 150+, 100%, 20%, and 48%. Those are quantified accomplishments, and they’ll teleport you to the working world. Pro Tip: As technical abilities can be verified easily, don’t lie on your resume. You will get fired once your fibs are revealed and damage your reputation. Use the technical skills list above. Don’t copy-paste from it. Read the job ad and highlight the few tech skills it mentions. Don’t make a technical ability list. Write bullet points crammed with achievements that prove your technical competency. Use numbers. Dollar figures, percentages, and other metrics show how effective your technological aptitude is. For career-specific hard skills examples, see our resume guides for every profession. Each one has a dedicated list of tech skills. Do you have questions on how to list technological skills on a resume? Not sure how to describe your achievements? Give us a shout in the comments! We’d be happy to reply.